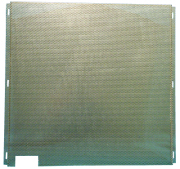 Mesh back plate, 22" x 22". 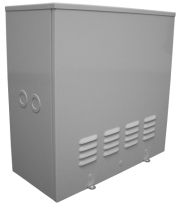 Fits inside the CT-LB242411GY wall box and replaces included plywood backing. Perfect for mounting distribution equipment on a wall. Provides spacing between and equipment and wall to allow for ventilation behind equipment. 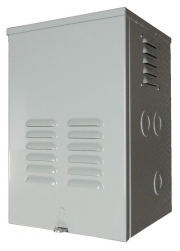 Perforated surface allows for easy mounting of equipment using self tapping screws.